Bombuzal is a computer puzzle game produced by Antony Crowther. The game was released in 1988 for the Amiga, Atari ST and Commodore 64. 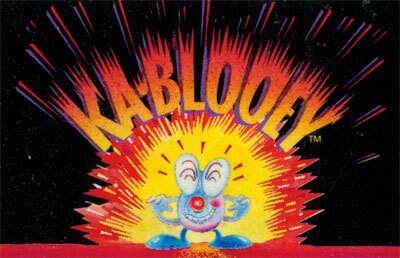 It was also released in 1989 for MS-DOS and 1990 for the Super NES, with the American version renamed as Kablooey. Among its notable features was the ability to play using either an overhead or isometric view. To complete each level the avatar has to destroy all bombs on a level. Bombs come in different sizes and it is only possible to ignite the smallest kind without dying. The bombs have to be set off using a chain reaction to prevent the avatar being killed in the explosion.